Delicate and lacy-leaved, the cosmos are blooming now. Finally! It seemed they never would. Here is one of them with hydrangeas leaves in the background. This painting is sold. 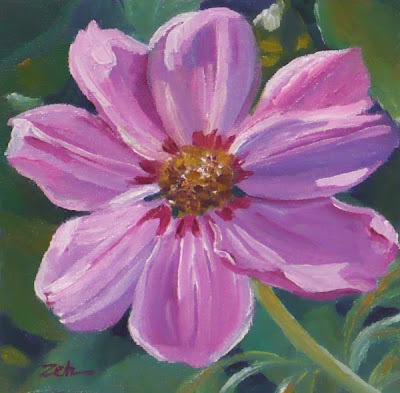 Visit my website, zehoriginalart.com, to see more of my artwork. Thanks for stopping by today!